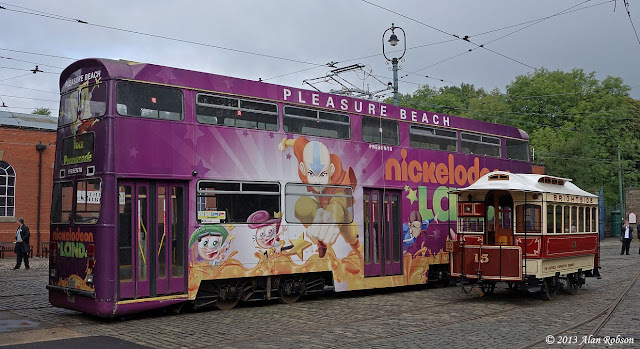 Under a new package of road and rail improvements just announced by Transport for Lancashire, £16.4m has been allocated towards the estimated £18.2m total cost of improving access to the national rail network from Blackpool, Fleetwood and Cleveleys, by extending the tramway from the Promenade at North Pier to Blackpool North railway station. 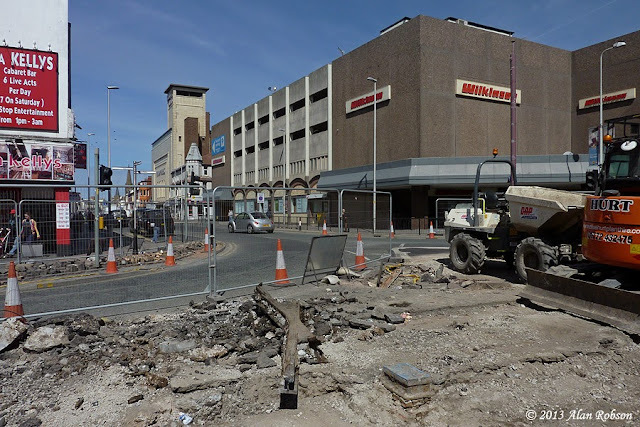 Transport for Lancashire have unveiled six schemes which will be funded by a devolved budget from the Department of Transport, the City Deal for the Preston area, and developer contributions. 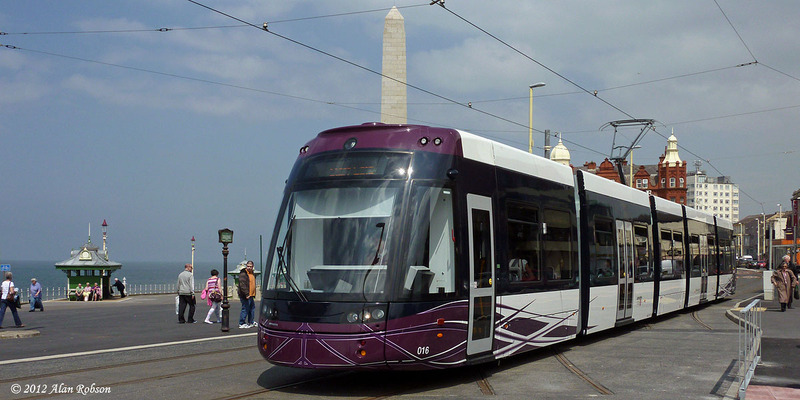 Blackpool Council now have to find the remaining £1.8m needed in order for the new tramway extension to be fully funded, work on the scheme could begin by 2015. Transport for Lancashire is a new body that has been created by Lancashire County Council, Blackpool Council, Blackburn with Darwen Council and the Lancashire Enterprise Partnership. 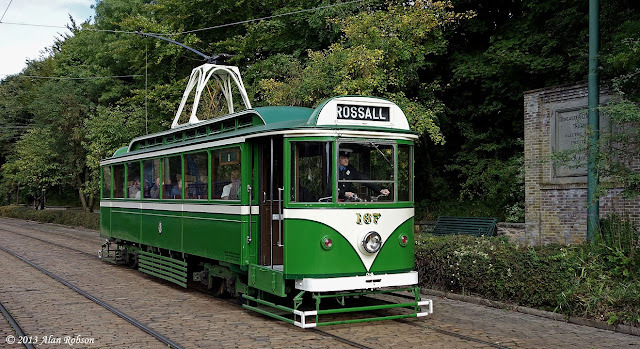 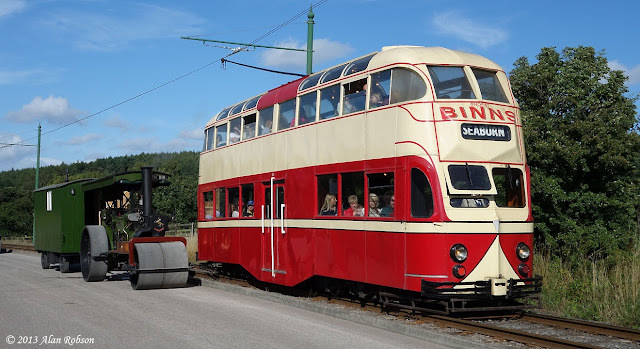 Two generations of Blackpool toastrack trams at Crich, as 166 & 236 pass each other at the bandstand. 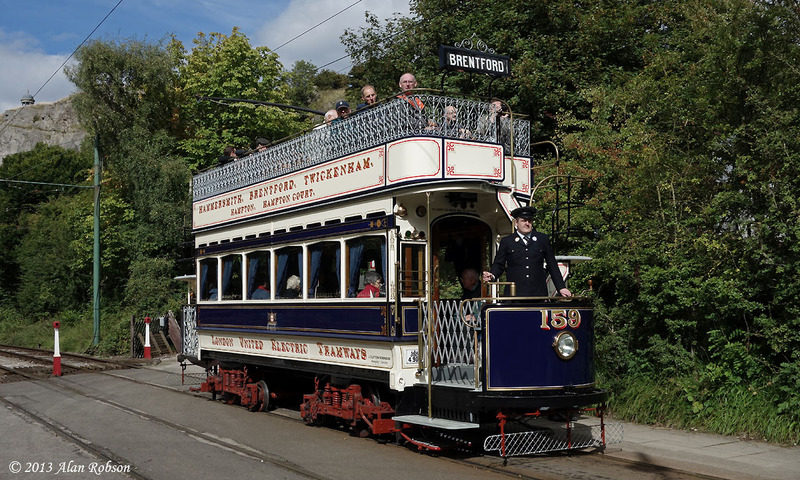 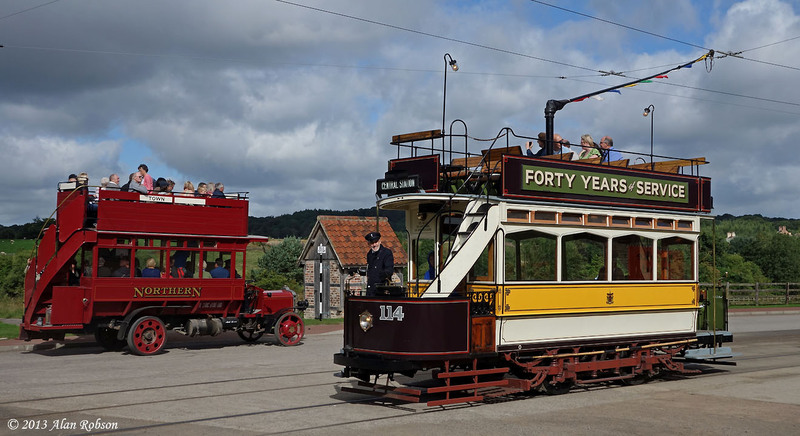 Saturday 14th September saw the annual Enthusiasts Day event at the tramway museum at Crich in Derbyshire. 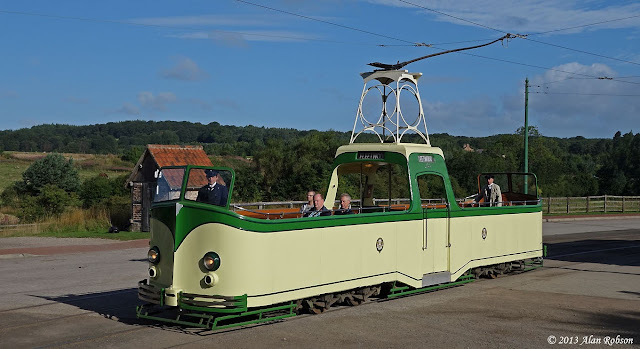 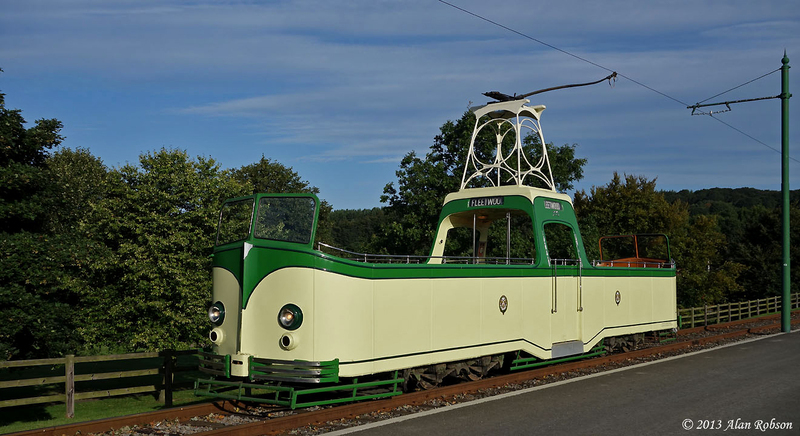 Throughout the day there were several photo opportunities on the depot track fan, and a grand total of sixteen passenger trams were planned to be in service. 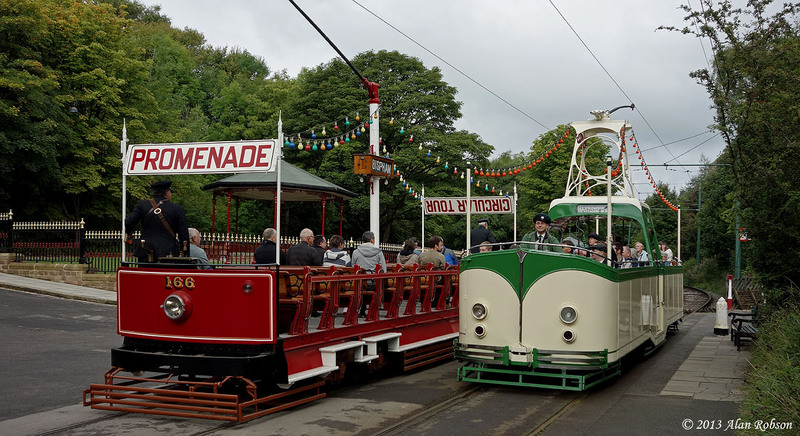 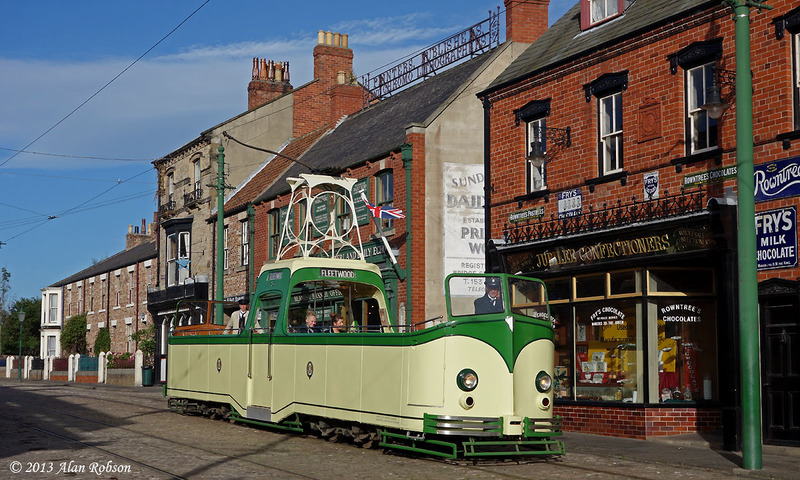 The first photo line up was entitled 'Little 'n' Large', which was Sheffield horse tram 15 posed alongside the largest tram in the collection, Blackpool Jubilee car 762. 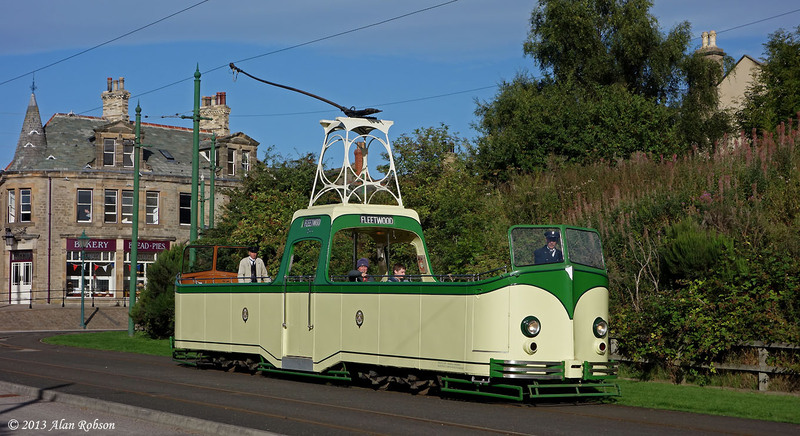 The morning service tram output consisted of Glasgow 22, Blackpool 40, Sheffield 74, Blackpool 166, Blackpool 167, Blackpool 236, Leeds 345 and Berlin 223 006-4. A display of London trams comprised the second photo opportunity of the day, consisting of London United Tramways 159, London Transport 1622 & 1 and Metropolitan 331. 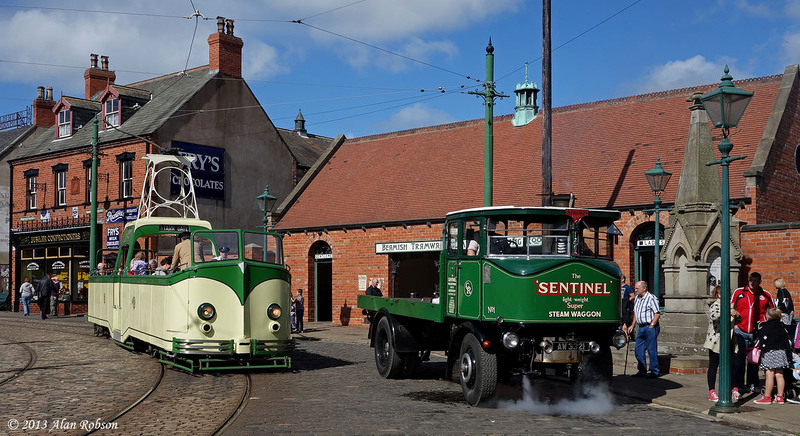 Midday saw Leicester 76, which normally lives in the exhibition hall, being displayed on the track fan alongside the hall. 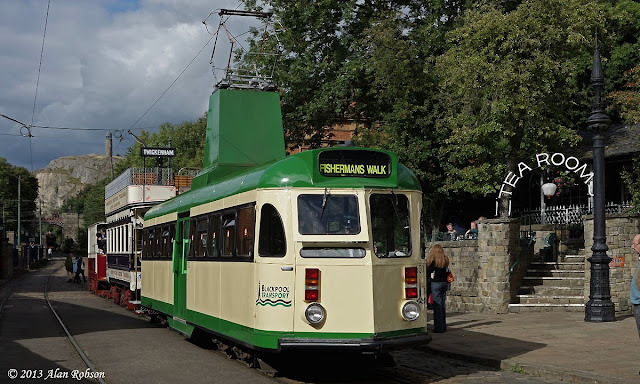 The afternoon service tram output consisted of Chesterfield 7, London United Tramways 159, Leeds 180, Leeds 399, Blackpool 630, Glasgow 812, Glasgow 1068 and London Transport 1622. 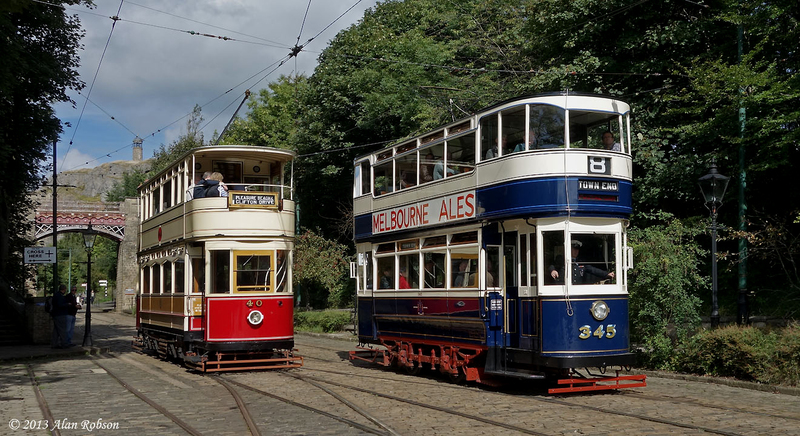 The afternoon photo line-up was of five horse trams, Cardiff 21, Chesterfield 8, Oporto 9, Sheffield 15 and Leeds 107. Cardiff water car 131 was also in use throughout the day, giving platform rides to limited numbers of visitors along the tramway. See Blackpooltrams on Flickr for a photographic round-up of all the service trams and photo line-ups that took place during the day. 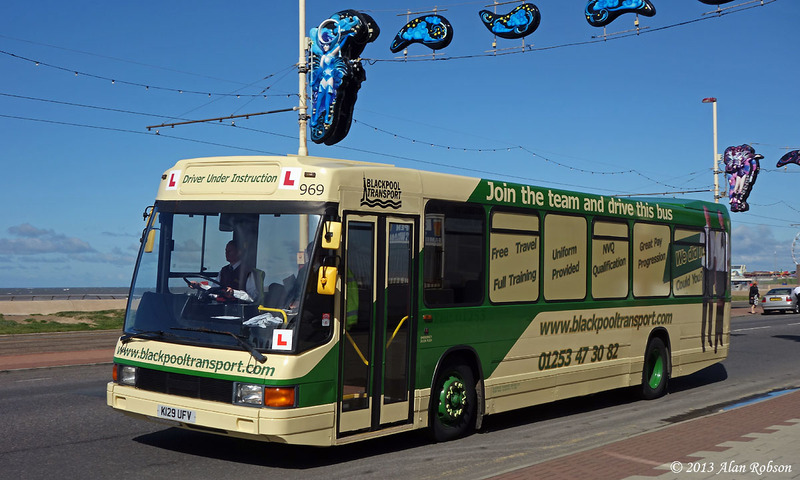 The final of the 2013 Bus Driver of the Year competition was held as usual in Blackpool on 8th September. 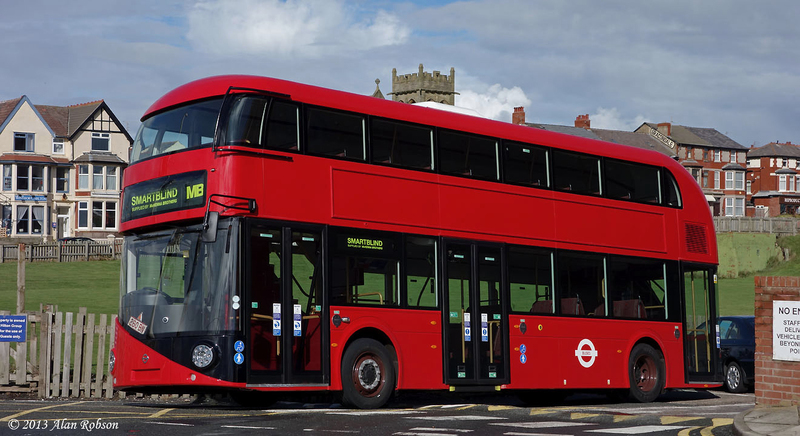 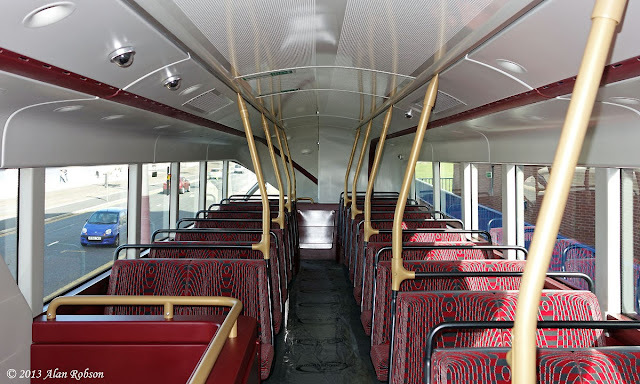 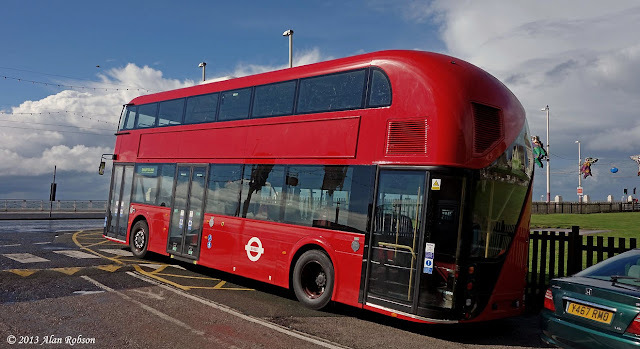 During the BDoY event, a brand new 'Borismaster' (New Bus for London) that was on delivery from Wrightbus in Northern Ireland was displayed on the forecourt of the Hilton hotel, for participants and their friends and families to inspect. 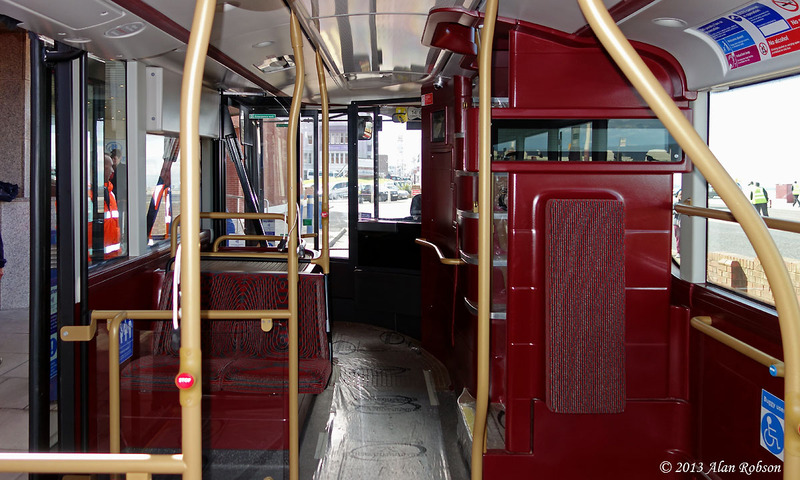 The identity of the bus is not known as it was only carrying delivery trade plates. 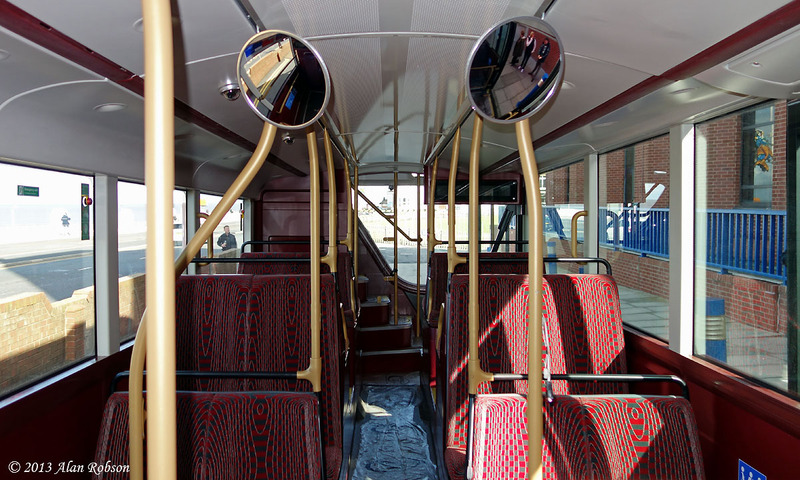 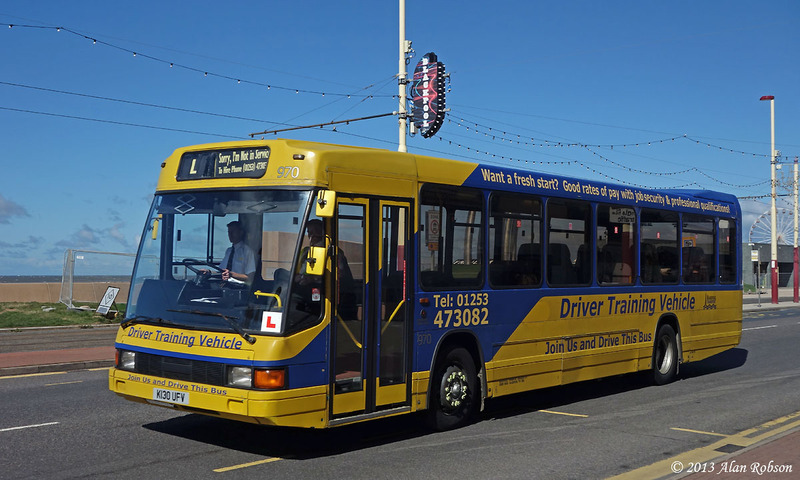 See Blackpooltrams on Flickr for more photos of the Borismaster at the Bus Driver of the Year competition. 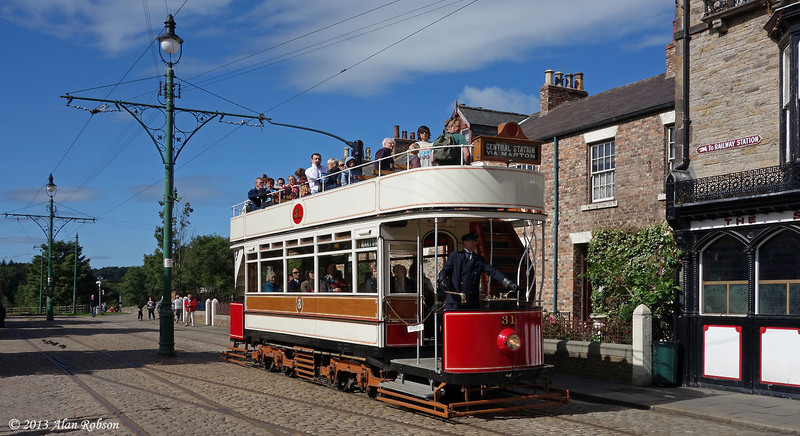 The Great North Festival of Agriculture was held at Beamish museum from 29th August to 1st September. 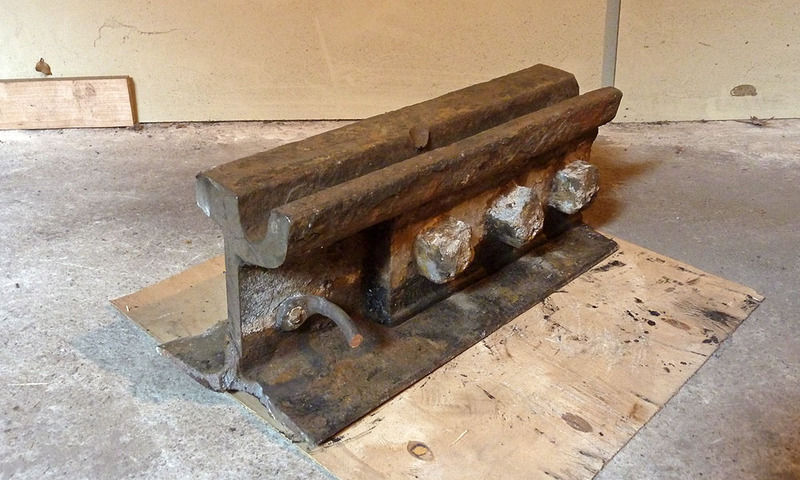 The event was given the title Agricultural Power from the Past, and offered visitors the last chance to ride on Blackpool Boat No 233 (605), which had been on loan from the Lancastrian Transport Trust for two years, before it departs for its new home in San Francisco. 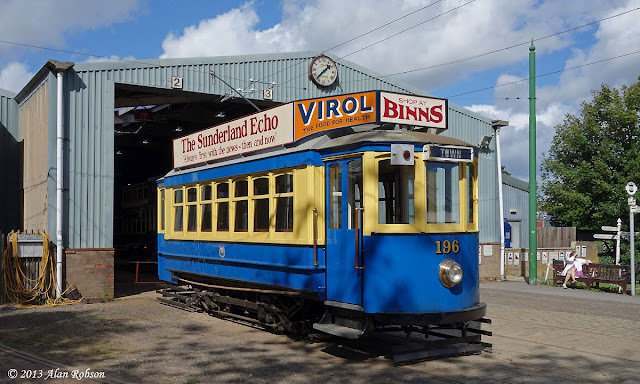 Trams in daily use over the weekend were Newcastle 114, Sunderland 101, Marton Box 31 and Blackpool Boat 233. 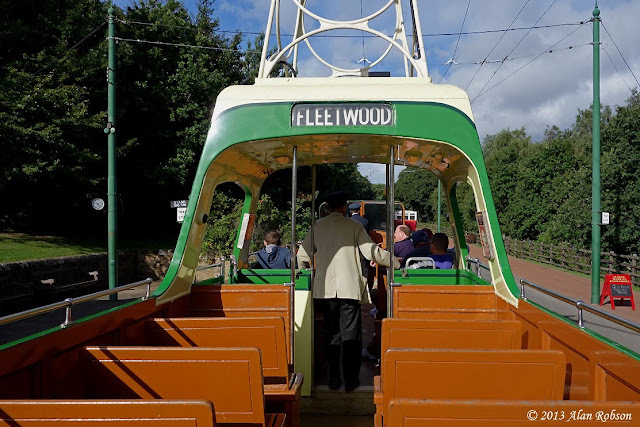 More photos from the event can be seen on Blackpooltrams on Flickr. In order to commemorate the imminent departure of Blackpool Boat 605 (233) for pastures new in the USA, a pre-opening photo shoot was arranged at The Living Museum of the North at Beamish on 31st August, in order to record the tram for posterity before it is lost to British enthusiasts forever. See Blackpooltrams on Flickr for more images taken during the photo shoot.